Lokamitra has spent most of his adult life working in India to support the Dalit Buddhist community in their struggle against Hindu caste prejudice and its regard of them as literally "untouchable". Inspired by the life and work of the great Dalit leader, India's first Justice Minister Dr. Bhimrao Ambedkar, the Nagaloka Institute provides an invaluable chance to thousands of young Dalits, educating them in how Buddhism can help support their democratic rights to liberty, equality, and fraternity. 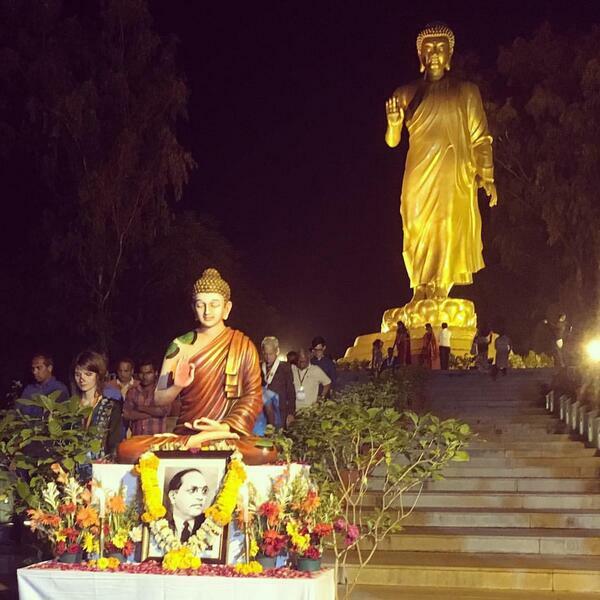 We hear about Nagaloka's general work, the celebrations around the 60th anniversary of Dalit conversion to Buddhism, and about the international conference Nagaloka and Triratna sponsored with the International Network of Engaged Buddhists.